Data Sources New York Times 10/1/1852. 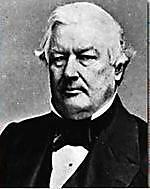 For an overview of the Liberty Party in the Taylor/Fillmore administration, see the first convention of the four held by the Liberty Party in 1852. The fourth Liberty Party national convention of 1852 had been called by the second convention after a group of delegates bolted to hold the third convention of the party in 1852. The convention was held in Syracuse NY on 9/30/1852. From the beginning, many delegates stated they wanted to endorse the Free Soil Party's national ticket. 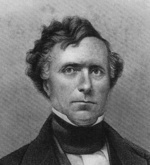 Some party leaders espoused the states rights position that Congress did not have the authority to abolish slavery in any state but did have authority over the territories. The states rights speakers endorsed the idea of prosecuting federal marshals for enforcing the Fugitive Slave Law. In the afternoon session, Gerrit Smith read the proposed platform. He did not want to exclude the Free Soilers in the convention, though he preferred a separate ticket. A delegate named Antoinette Brown stated that the Free Soilers had their own ticket and were not part of the Liberty Party; she advocated a separate ticket also. The convention nominated William Goodell NY for President and Samuel M. Piper VA for VP. Some delegates supported Hale, but the NYT did not provide the results of the vote.